The Strategic Democratic Moment in Malaysia: The Beginning of New Coalition Politics? Phar Kim Beng is a Malaysian, and a former Head Teaching Fellow of Harvard University in politics, history and economics. 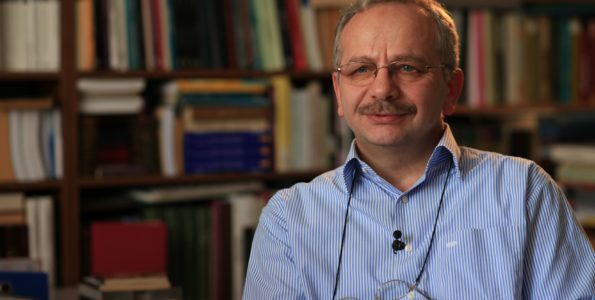 He holds the distinction of having published in Harvard Asia Quarterly and Harvard International Review, as well as various regional publications in East Asia, namely South China Morning Post, The Straits Times Singapore, the Edge Malaysia, and Asia Times. He has founded Echo Strategic Insight in Kuala Lumpur Malaysia with the attempt to assist other students in getting admitted into Ivy League universities. 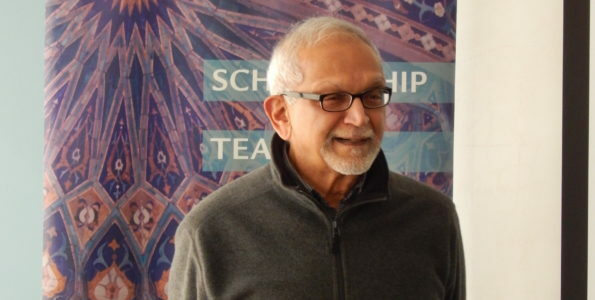 He has been a former Cambridge Commonwealth Fellow, a visiting scholar at Waseda University Japan and a Senior Research Associate at University of Hong Kong and City University of Hong Kong too. His field of expertise revolves on Asian track two diplomacy and institutional flexibility of ASEAN Regional Forum (ARF). On May 9 2018, some 13 million Malaysians took to the polls, to remove the government of Najib Razak from office. Thus, in one bold stroke ending the kleptocratic practices of the government that has been in power since 2009. Indeed, if one goes further, the end of the government of Najib Razak also marked the termination of the United Malays National Organization (UMNO) and Barisan National (National Front), which had been in power since 1955. While there is much to be celebrated, readers should be cautious of the cesspool of coalition politics at work. To begin with, no one knows if the newly elected Prime Minister Dr. Mahathir Mohammad can hand over his powers to Anwar Ibrahim, his former foe and current ally, as promised. Yet, Anwar Ibrahim’s Justice Party (KeAdilan, also known as PKR) has the largest number of seats in the parliament, invariably, with 47 seats, plus the support of one independent member of parliament. Although Anwar is the Prime Minister in Waiting, one should be mindful that serious fall outs over the manner by which Malaysian leadership should handle the currency gyrations of the country happened before in 1998-1999, leading to the collapse of their partnership. No one knows if the renewed partnership of Mahathir and Anwar may crack again, but some signs portend to that distinct possibility already. On May 12, in what was the first cabinet announcement of Mahathir, cracks had immediately appeared on day three of the government. Instead of deferring to the view of Parti KeAdilan Rakyat (PKR), as opposed to the 13 seats held by Bersatu, which belongs to Mahathir, three cabinet announcements were made without consulting with PKR. The Ministry of Finance was given to Me Lim Guan Eng; the Ministry of Home Affairs to Muyiddin Yassin; and the ministry of defense was handed over to Mohamad Sabu, the president of Amanah. Although seven other ministries would be announced in due course, PKR was offended by its exclusion. At any rate, the normal threshold of a mature democracy is the peaceful hand over of office. While this did happen on May 10, 11 and 12 respectively, Malaysians have had a culture of deferring to authoritarianism before. When Mahathir chose speed and expediency in some decisions, over prolonged deliberations, for example, Malaysians have tended to go along with such a utilitarian approach; only that it encourages a culture of sub optimal outcomes since haste cannot make up for thoroughness. Indeed, if the past is the prologue, UMNO and Barisan National did govern Malaysia for well over sixty-one years. Thus, the likelihood of Malaysians falling back on the crutch of the state, to do all the biddings to the economy and social restructuring, can prove potentially lethal to the new democracy. Hence, with Dr. Mahathir at the helm, once again, no one knows if democracy could flourish, or, be bogged down by his authoritarian inclination once again. But there are two ways to understand if a new democratic Malaysia has been born, or, a weaker version of soft authoritarianism is once again in the offing. To begin with, Anwar Ibrahim is freed from political imprisonment on May 15. 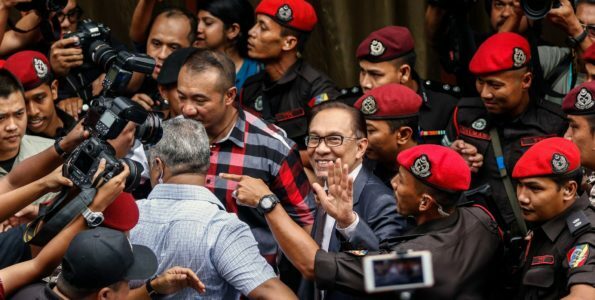 Mahathir had agreed from as early as six months ago, to work with the King to ensure Anwar’s full royal pardon; invariably on the basis of “miscarriage of justice. This is a good sign that Mahathir is keeping to his word. But no one knows how the Prime Minister and Prime Minister-in-Waiting can handle the acute pressures of running the office together with the balance of power between two parties appear to be large in the parliament. Thus, the democratic moment of Malaysia would have to take more time to consolidate. Secondly, this democratic opening of Malaysia is filled with competing narratives too. While some believe that Najib was defeated with the power of Mahathir, invariably, to help the opposition break into the Malay constituencies, others argued that it was the people of Malaysia who showed up in full force to vote Najib down. At 82 percent of voter turn-out, just four per cent shy of the 86 per cent achieved five years ago, it looks likely that Malaysians have become an increasingly demanding lot too. Not only do they want a better government, and a Gross Domestic Product (GDP) that grows at a clip of 5.5 per cent to 6 per cent a year, they want the government to be more transparent and accountable. Come what may, “one swallow does not a spring make,” as the English saying goes, a single transition of power cannot determine with any accuracy if Malaysia has taken a bold departure from its past. That being said, there are hopeful signs too that coalition politics in Malaysia can last beyond what had been described above. It was Professor Arend Lijphardt, a Dutch political scientist, at University of California Berkeley, who first described Malaysia’s political system as a “consociational democracy.” In other words, each of the respective races in Malaysia would be represented by a key political party of their choices. Right until May 9 2018, which will go down in Malaysian history as a monumental day nevertheless, Malays had primarily believed that UMNO was the main vehicle of their representation to channel and articulate their interest, and that Malayan Chinese Association (MCA) and Malayan Indian Congress (MIC) would do the same for the ethnic Chinese and ethnic Indians in the country respectively. But this model has clearly ended. Under Pakatan Harapan, or, the Alliance of Hope, currently led by Mahathir and Anwar, a new modus vivendi is needed. In the event of any conflict or issue, invariably arising from cabinet appointments, for instance, it helps if all sides can resort to using internal party mechanisms to forge a consensus. Speaking openly and directly to the media at the first instance – while emotionally cathartic – is politically damaging to a new government, as Rais Hussin of Bersatu noted. As he added: “However, much as May 9, was a huge electoral victory for Pakatan Harapan, with the seismic effects continuing to be felt from Kangar to Kota Kinabalu, there have to be due regard for the previous political system, even as Pakatan Harapan tries to strike out on an independent future to free the minds and habits of Malaysia.” In other words, coalition politics will be used but it would not divorce entirely from a race based system that dominated Malaysian politics before May 9. There are five reasons why Malaysian politicians, regardless of which party they belong to in Pakatan Harapan, have to be simultaneously wise and savvy. If a direct engagement with the media involves spilling the beans to the reporters, such a move can prove counter-productive to what Pakatan Harapan hopes to achieve, especially in the first 100 days leading up to the next five years. First and foremost, an election can only remove the top layer of the corrupt politicians at work. But an election cannot, at one go, remove the politicians’ hidden cronies, nominees and vested family interests. Thus, more than anything else, courage to stay the course of comprehensive reforms, should be used to root out what can be analogously referred to as the “deep state,” rather than to speak to the open media, let alone to Tweet it, as President Donald Trump is inclined to do in the United States. In politics, no news is good news. This period of calm can be used as a strategic platform to terminate the proverbial “termites” that had been gnawing at the foundation of the state; which is the expertise of Mahathir by virtue of his experience and previous track record. 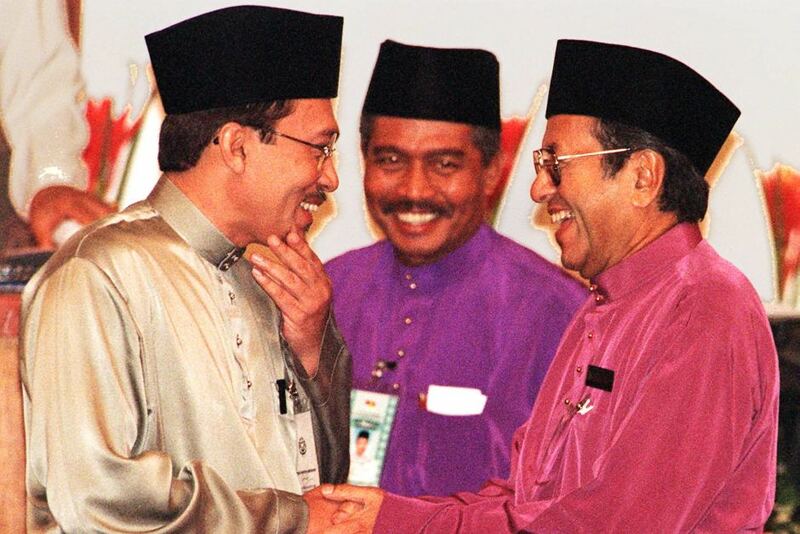 Anwar Ibrahim and Mahathir Muhammad in 1997. Secondly, the whole point of an election, according to Rais Hussin, a policy strategist of Mahathir Muhammad’s Bersatu, “is not merely to usher in the new but to understand what has previously worked.” And, if the latter has proven to be the case, he continued “there is no need to challenge it wholesale.” This is done in order to retain some semblance of stability, invariably, to ensure the next phase of reforms. For example, it defeats the purpose of reform, if every single move by Mahathir is seen through the prism of “authoritarianism.” Doing so, Rais Hussin affirmed, would only allow one to be entrapped by the past. Thirdly, elections are extremely exhausting and difficult to pull through. Without the will and good cheer of the people of Malaysia from all walks of life, it is almost impossible to remove the regime of Najib, granted the propensity of the latter to resort to using open and other more sophisticated forms of bribes, what Dr. Mahathir criticized as the “cash is King” approach. Furthermore, elections are not one off events across the country too. There are party elections as well, as required by law in the Registrar of Society (ROS). When things do not immediately go smoothly, the members of Bersatu and the likes would know they would have to rein in their respective leaders. Thus, one cannot accuse Mahathir as operating in a vacuum. As Mohamad Sabu of Amanah said, “any cabinet decisions rest with the prerogative of the Prime Minister.” This is to give the Prime Minister some room of maneuver, without which the government of the day cannot run, but will always be bogged down by intense lobbying of special interest. When a coalition is new, and still exhausted by the past campaign, it helps to take a breather, and a step back. Using internal party mechanism to resolve the issues will cut down on the sensationalism that media thrives on to get their copies and viewership up. Fourth, in any coalition, consensus can come in a variety of forms. Consensus can mean unanimity, where everyone agrees. But in the expediency of governance, consensus can also mean a policy of minus one. No doubt it is true that PKR has 47 seats in the parliament. But the Democratic Action Party (DAP) has 42 seats, while Bersatu has 13 and Amanah has 11. In the days to come, there is no telling how many defections will work in the favor of Pakatan Harapan too, now that Barisan National and UMNO have been totally defeated. The combination of such good habits and practices, over time, can lead to a culture of mutual existence that makes it difficult for the “deep state” to attempt an early come back. And, there is every incentive for them to attempt a power lunge given the extent to which they have lost to the Malaysian electorate on May 9. Malaysia, has now become a test case, of how Muslims can come to exist with non-Muslims, through coalitional politics, as the Alliance of Hope has a predominantly Malay, Chinese, Islamic and multiracial party which is KeAdilan led by Anwar Ibrahim too. If Mahathir works closely with Anwar to allow coalition politics to flourish, rather than unilateral initiatives, then Malaysia will be the major democratic break through. However, Mahathir and Anwar now sit on top of the whole system, and their rapprochement has to be strong and genuine, without which inter-elite rivalry can trigger a collapse like a House of Cards.